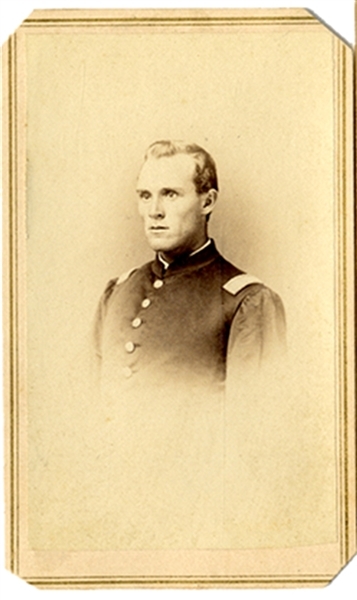 War-date carte de visite of Captain Tantum, 48th New York. KIA on August 16, 1864 at Strawberry Plains, Va. M.G. Ash & Co. backmark. Clipped corners, else very good condition.